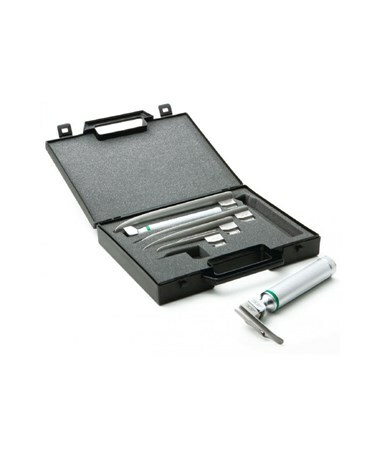 The ADC Fiber Optic Macintosh Laryngoscope Set is an economical and quality piece for the discerning physician. Blades are manufactured from stainless steel, and the handles of chrome-plated brass, to assure a lifetime of performance. Handles feature a knurled finish for a comfortable and secure grip. The blades feature fiber optic light transmission which provide cool, distallight with obstruction and reflection free viewing. The Macintosh blades sport a 2.5v Halogen illumination for true tissue color and long lasting lamp performace. The light pipe is removal to facilitate easy cleaning. The Macintosh set includes both of ADC's "AA" and "C" cell battery lightweight handles and lightweight standard blades for maximummaneuverability. All ADC products are assembled, package and inspected in the USA. 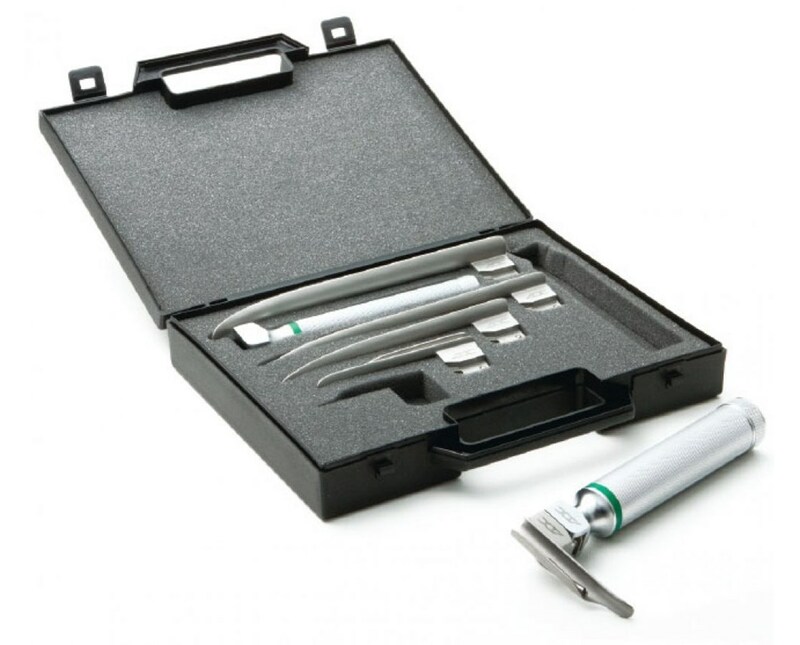 The Fiber Optic Macintosh Laryngoscope Set comes with a generous 1 year warranty. Stainless steel construction ensures blade integrity. Fiber optic light transmission provides cool, obstructionfree viewing. 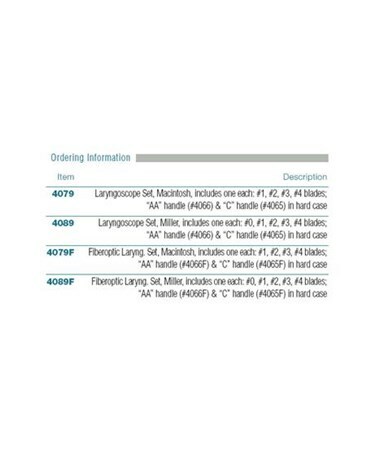 Lightweight laryngoscope handles with knurled finish. Foam lined, fitted hard case with carry handle. Assembled, packaged and inspected in the USA.